To be fair, you’re probably asking, “Why should I install a tile backsplash? Convince me!” We’ve got four persuasive reasons that you need a tile backsplash in your Mt. Juliet home kitchen. Messes happen in the kitchen. It’s inevitable. With other types of walls or backsplashes, messes can potentially become permanent. As you know, tile is easy to maintain and simple to clean if a mess was to occur. Wipe the spaghetti sauce off of your tile backsplash, use your preferred cleaning product, and voila – it’s clean! 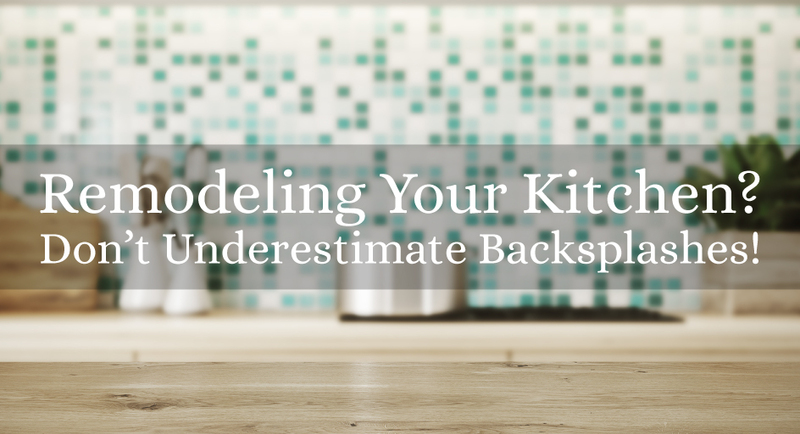 Tile backsplashes are completely in, with regards to kitchen design and remodeling. These kitchen additions have the ability to give your kitchen a personality, and combine the latest interior design trends and appearances. From bold colors, to enticing patterns, the opportunities for modern customization are endless. Whatever colors you enjoy or patterns you prefer, it’s all possible with a tile backsplash. On top of that, when you partner with a renowned custom home builder and remodeler to install your tile backsplash, you’ll have the ability to bounce ideas back and forth until you find your ideal appearance. Eastland Construction in Mt. Juliet Tennessee knows exactly what you need for your kitchen remodeling project. Whether you’re invested in installing a tile backsplash or are dying for new hardwood floors, we’re here for you. Call us today to get started on your kitchen remodeling project.